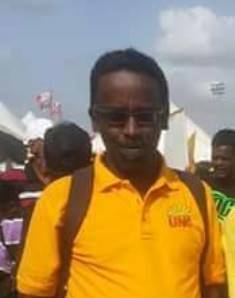 In my capacity as Chairman of the United National Congress I would like to sincerely offer condolences to the friends and family of the late Roland Rampersad. Roland was indeed a very dedicated and committed supporter of the United National Congress. He will be remembered for his unwavering online contributions of support towards the UNC as well as his nation building articles. Roland was an extremely humble and jovial human being. Therefore his lost is one deeply felt by all who knew him and called this vibrant individual a friend. I pray that God grants him eternal rest as well as gives his family strength, courage and guidance at this sorrowful moment. Thank you for all your support my brother.